“Today, Europe’s leading equity crowdfunding platform Seedrs announces a strategic partnership with U.S. platform Republic. The collaboration will offer UK-based businesses the opportunity to run joint crowdfunding campaigns on Republic and Seedrs simultaneously, allowing startups to capitalise on large customer bases in the United States. Republic, the sister company to well-known U.S. platform AngelList, has been in operation for two years, funding more than 50 American startups. The partnership sees the two like-minded platforms come together to bridge a gap for United States investors wanting access to British and European growth investment opportunities. “European crypto regulators making the news has been a mainstay this year as the continent tussles with the industry to impose new laws and regulations across the sector. A European parliament member is calling for more regulations on ICO crowdfunding guidelines in a bid to enforce a previously muted plan by the parliament’s Committee on Economic and Monetary Affairs. Two such areas that have received widespread crackdowns across Europe this year are ICOs and crypto exchanges. The call from an E.U. parliament member is a recommendation to introduce new regulations for initial coin offerings, to complement those already in place. The European member of parliament, Ashley Fox, who represents the United Kingdom in Brussels, is looking to reopen a previously muted draft proposal for initial coin offerings (ICOs). The draft was written by Fox with hopes to impose new rules for crowdfunding platforms across Europe and for other operators. There have been numerous attempts to figure out solutions to write regulations for crowdfunding platforms across Europe, but as of yet, nothing has come to fruition. 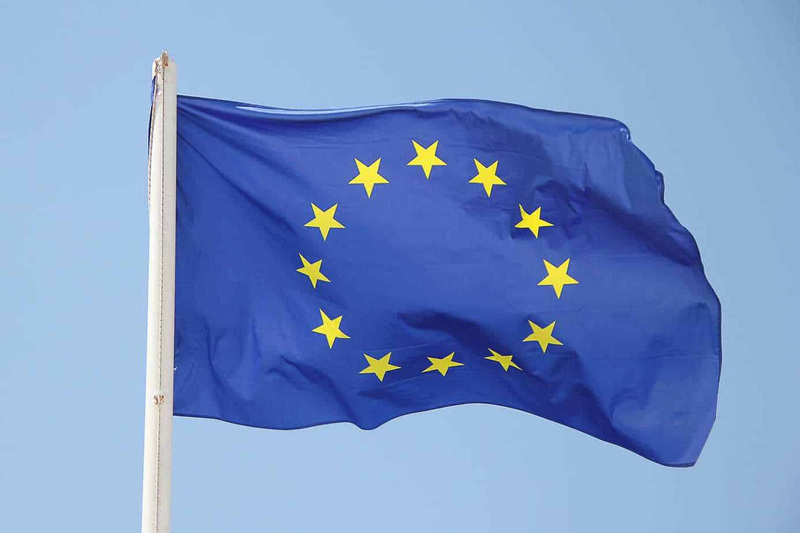 The European Commission (EC) is currently working on an official proposal that would create the framework for crowdfunding, but that is not expected to be released until March 2019. Ashley Fox has recently outlined some of the ideas in the draft, such as a structure that will standardize the sale of tokens and the supervision of ICO projects to ensure their legality. Opinions in the crypto community are divided as some see the regulations as a good step to standardize the marketplace and a move in the right direction, while others believe the proposed rules are overreaching and intrusive. Many people believe firms that offer crowd-funding should be allowed to use their platform to raise funds for their project, but people such as Fox and other regulators believe that the rise in crypto crime and unscrupulous scammers looking to take advantage of the ICO industry by infiltrating the system needs to be eradicated. Another area that has also been reeling from crackdowns this year from the European Commission is the crypto exchange industry. The ongoing debate in regards to centralized and decentralize crypto exchanges burns on through the night, but the only thing we can be certain of is the European Commission’s wishes to regulate the exchange industry. “China's top financial regulatory body advocated greater control of potential financial risks emerging from online lending and highly leveraged financing by listed companies. Financial risks, in terms of both online lending and listed companies' financing through pledging their stocks, are under control at present, according to a statement issued on Monday by the State Council Financial Stability and Development Commission, a Cabinet-level financial regulating body, after its meeting. The meeting on Friday was chaired by Vice-Premier Liu He. Participants called for strengthening supervision standards after assessing the latest reports about the situation in the two areas in order to control potential risks, said the statement. China's top financial regulatory body advocated greater control of potential financial risks emerging from online lending and highly leveraged financing by listed companies. “The Institute for Development of Economics and Finance (Indef) said that fintech-based companies offering peer-to-peer lending services can improve Indonesia's macroeconomics capability. Indef's review, done together with the Indonesian Fintech Association (Aftech), estimates that fintech development in Indonesia can contribute up to Rp25.97 trillion to the GDP. Speaking at the discussion with the theme "Lending Fintech Roles to Indonesia's Economy" in Jakarta, August 28, Indef economist Bhima Yudhistira Adhinegara said that the Rp25.97 trillion contribution includes both direct and indirect impacts. Indef says that fintech-based companies offering peer-to-peer lending services can improve Indonesia's macroeconomics capability. “Fintech Orca has signed a partnership with MisterTango. Orca wants to be a bridge between crypto and traditional finance or “one app to build your own bank.” MisterTango is a payments platform. The agreement enables ORCA to have the ability to develop solutions for SEPA payment account creation using technology via MisterTango. The partnership will allow ORCA to set up SEPA accounts and initiate payments on behalf of platform users for a fiat and crypto experience inside the same digital application. SEPA or “Single Euro Payments Area” is a payment-integration initiative of the European Union for simplification of bank transfers denominated in euro. In the future, ORCA expects to be able to issue debit payment cards. Cooperation with a licensed e-money service provider is expected to open more doors for the ORCA project.